"We believe that the investment committee that has been assembled is a world-class committee focused on private equity of this size." Claude Davis is the Executive Chairman of First Financial Bancorp and First Financial Bank, Bancorp’s lead bank. Previously, he served as CEO of the company from October 2004 until April 2018. With over 150 offices and 2,000 employees, First Financial is a $14 billion dollar bank headquartered in Cincinnati, Ohio with operations in Ohio, Indiana and Kentucky. In 2013, Claude was elected to the Federal Reserve Bank of Cleveland’s board of directors. He is also a member of the American Bankers Council, the Cincinnati Business Committee, the Commercial Club of Cincinnati, REDI Cincinnati Board of Directors and the World Presidents Organization, Indiana Chapter. Claude is a 2015 recipient of the West Chester ● Liberty Chamber Alliance Everest Award for having a significant positive impact on business, the community and quality of life within the I-75 Growth Corridor. He was also selected Ernst & Young’s Entrepreneur of the Year in 2009, an award recognizing South Central Ohio and Kentucky’s best innovators and visionary thinkers in the financial services category. 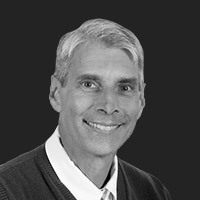 David is currently the Chairman of Enerfab, Inc., a world-leading supplier of engineering solutions serving the energy, environmental, chemical, pharmaceutical, food and beverage industries. Under David’s leadership, Enerfab has grown from approximately 150 employees in 1988, to over 3,000 employees today. David is also the Executive Chairman of West Chester Protective Gear which is the largest importer of industrial work gloves in the United States. 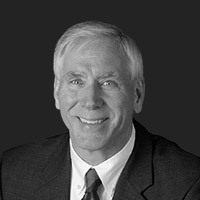 Through his professional achievements, David has been the recipient of accolades such as Ernst & Young’s Regional Entrepreneur of the Year Award (1996 & 2008), Inducted into the Hall of Fame at the Thomas C. Page Entrepreneurial Center at Miami University (2003), and a recipient of the University of Cincinnati’s Legion of Excellence award (2010). David currently serves many non-profit organizations such as Child Poverty Collaborative, Cincinnati Works, Cincinnati Regional Business Council, Talbert House, and Workforce Development UCATS Institute. Through his philanthropic involvement in these organizations and many more, David was the recipient of the 2017 Heart of the City award and named the 2018 Philanthropist of the Year in Cincinnati, Ohio. 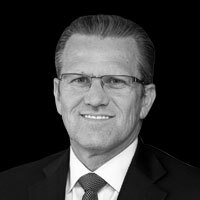 John currently serves as the Chief Investment Officer for Synergy Building Systems in Dayton, Ohio and personal CFO to Mr. Robert Mills. John has a background as an entrepreneur through multiple successful business ventures including his leadership and ownership in Protective Treatments, Inc. and Plastic Trim, Inc. Throughout his career, John has developed diverse expertise in many different skillsets including accounting, finance, manufacturing, and general management. John has been exposed to many different industries throughout his career with a specific focus in automotive. John leverages his background and serves on various community and professional boards. Harry Loyle has a long history of business acquisitions and turnarounds. He has spent the vast majority of his life impacting people by living out his motto: personal and organizational development through business through leading, investing in and advising a variety of organizations from start ups to multinational corporations. He is currently Managing Director of Cybeck Capital Partners, which empowers others to reach their business goals with management support and funding through creative lending and operating partnerships. Over the years, Harry has been involved with the International Franchise Association as a franchisee, franchiser and consultant and served as their Treasurer for five years. He currently serves on several boards for both private and public companies. LLC – Com-Forcare of the Greater Miami Valley and Cadenza Management, LLC. 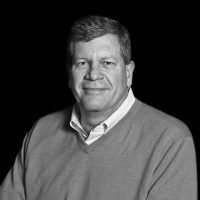 Harry serves on the board of advisors for Buffalo Wings & Rings, Rexarc, Biehn Family of Companies, Hartzell Air Move- ment, MFC Licensing Group – MotoPhoto and SMB Franchise Advisors. Douglas is a founding Partner of the accounting firm, Brixey & Meyer. Brixey & Meyer is a regional CPA and business advisory firm with offices in Dayton, Cincinnati and Columbus, Ohio. Brixey & Meyer is recognized as a leading provider of accounting and business advisory services to clients all over the country. Douglas formed Brixey & Meyer with David Brixey with no clients, but with a dream to give clients a different way of working with their tax professionals. Prior to co-founding Brixey & Meyer, Douglas spent several years with Ernst & Young, LLP focusing on and becoming recognized as a leader in state and local tax (SALT) incentives serving clients around the world. 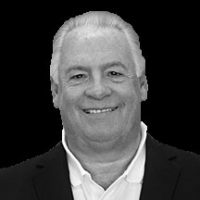 Patrick is a partner and head of Investor Relations at the Connor Group, a real estate private equity firm headquartered in Dayton, Ohio. Patrick has been with the Connor Group for more than 18 years where he has raised over $800 million in 17 investor funds. Throughout his tenure with the Connor Group, Patrick has held many roles in the organization including Property Manager, Regional Vice President, Director of Training, Recruiting and Communication to his role in Investor Relations. Aside from his responsibilities with the Connor Group, Patrick is an adjunct professor at the University of Dayton and a mentor to high school students through the Montgomery County College Promise program. Patrick serves on various other boards including the Montgomery County YMCA and the Moraine Caddy Scholarship. 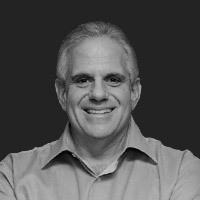 Michael Shane co-founded Cables To Go (now C2G) in 1983 in the backroom of a computer store he started shortly after graduating from Indiana University in 1982. Through organic and acquisitive growth, Cables To Go grew and became a division of Lastar, Inc., where Michael served as Chief Executive Officer through 2010 and then as the Chairman of the Board until the company was purchased by Legrand in 2014. During his tenure, Michael was able to experience the various challenges that accompany transforming from a boot-strapping start up to a global business enterprise with approximately $150 million in revenue and 1,000 associates. Through Michael’s accomplishments at Cables To Go, Michael was a 1993 regional winner and 2012 regional finalist of Ernst & Young’s Entrepreneur of the Year award. Currently, Michael is pursuing private investment opportunities as an angel investor, and participates in a variety of philanthropic and community activities. 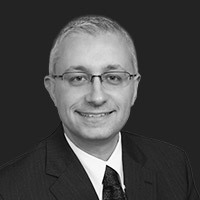 Michael serves on various prestigious boards including the Accelerant Fund Investment Advisory Board, Ascend Innovations Board of Trustees, Dayton Children’s Hospital Board of Trustees (Chair), Feast of Giving Steering Committee, the Jewish Federation of Greater Dayton Board and the Federal Reserve Bank’s Dayton Business Advisory Council. 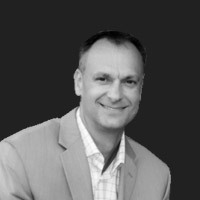 Darrick Zucco, Senior VP and General Manager of Rise Broadband, has more than 20 years of experience in the telecommunications sector. Darrick has led $300 million+ business units in turnaround, startup and growth modes. His expertise includes driving business transformation, reformulating existing businesses, and exploiting future trends through a strong background in general management, new business development, product management, sales and operations. Prior to joining Rise, Darrick held a variety of executive positions at Cincinnati Bell across the Consumer, Business and Wholesale Market segments. In addition, he managed the City of Lebanon, Ohio municipal cable system and its subsequent transition to private enterprise.